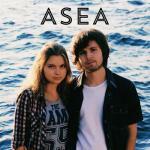 Sign up for Broadjam today to follow Asea, and be notified when they upload new stuff or update their news! This song is ideal for any action scenes of films, as the sound is really tight and the main subjects of the song is enjoing speed, adrenaline and freedom. would you really dare to run the race? do you want me to take you with me? do you want to fly with me?